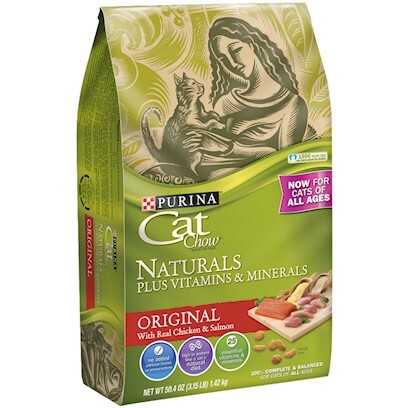 Purina Cat Chow Naturals is a great product! Better than he's ever had. Naturals Is Perfect From Kitten Until The Rainbow Bridge. Couldn't ask for more/or less. Natural and they like it. Their eating healthy and they love it!